Since the last The View From Vermont post by Meredith Angwin on February 21, our nuclear world has been changed forever by the tragedy in Japan and the events at Fukushima. Many of us who are members of the American Nuclear Society have devoted untold hours to following the events and communicating with the media, including the local media here in Vermont. Still, some in Vermont seemed unaffected by the crisis. On March 29, Meredith participated in a debate at a central Vermont high school. I accompanied her to assist. Her opponent was James Moore, of Vermont Public Interest Research Group. The debate was scheduled at the conclusion of a high school class project, and students, faculty, parents, and community members attended. In their opening statements, Meredith spent time talking about what had happened at Fukushima, while Mr. Moore tried to link Fukushima to Vermont Yankee’s tritium leaks that occurred last year. Later, during the question-and-answer period, there were no questions on Japan. Afterward, one adult commented to Meredith that she had spent too much time talking about Fukushima: “It’s not here,” he had said. I, too, had spoken with two audience members, who were concerned only about the functioning of Vermont Yankee’s reactor containment. Days later, on April 4, I spoke at a mid-state Rotary club about issues affecting Vermont Yankee and Fukushima. There were no questions about them. Instead, there was interest in state events and about high-level waste, which the local nuclear opponents have been harping about for years. The opponents have always looked for opportunities to organize an event, and they have seized on what happened at Fukushima. For example, on Sunday, March 20, several anti-nuclear organizations held a “vigil” outside the Vermont Yankee gate, in sympathy for Japan. It was publicized as a silent vigil, with “mourners” to be dressed in black. Caven Stone, a Dartmouth graduate student, and I attended the vigil. About 600 people from several states were there, many in costume, and some wearing death masks. We were directed to line up silently on the sidewalk, extending from Vermont Yankee’s gate. After an hour, the vigil was ended and the crowd crossed over to an elementary school parking lot, to gather around for a few speeches and statements. All of the speeches and statements were about Vermont Yankee and the Fukushima plants. There was not one word about the devastating loss of life in Japan due to the earthquake and tsunami. While the flurry of local media interest in Japan’s event has died down, nuclear opponents are keeping up their drumbeat of letters and op-eds. On March 10, commissioners of the Nuclear Regulatory Commission voted, after a five year review by the NRC, to extend Vermont Yankee’s operating license for 20 years. The next day is when the tsunami hit Japan and the plants at Fukushima. Of course, Vermont Yankee’s opponents immediately declared that the license extension should be delayed. (Did we expect anything less?) But the good news is that the NRC delivered the license letter to Vermont Yankee, after only a few days’ delay, due to the NRC staff’s involvement with the Fukushima event. A few months ago, the Vermont State Nuclear Advisory Panel held its first meeting under the new administration, chaired by the new Department of Public Service commissioner, appointed by the new governor, Peter Shumlin. The panel met on February 22 in Vernon, across the road from Vermont Yankee. It was a highly disciplined meeting, unlike some past circuses. The two legislative members of the panel who had disrupted past meetings had been reappointed. They did not disrupt the meeting of Shumlin’s new appointee the way they had disrupted meetings chaired by the previous governor’s appointee. In other news, Entergy, which owns and operates Vermont Yankee, announced a tentative contract for 20 MW with the Vermont Electric cooperative. There also is now discussion in the media about how Vermont Yankee may be able to operate on its renewed license without state approval, through court action or otherwise. The governor, however, is in favor of a natural gas pipeline into the state! Stay tuned for more policy based on political expediency. Howard Shaffer has been an ANS member for 34 years. He has contributed to ASME and ANS Standards committees, ANS commitees, national meeting staffs, and his local section, and was the 2001 ANS Congressional Fellow. He is a current member of the ANS Public Information Committee and consults in Nuclear Public Outreach. He is coordinator for the Vermot Pilot Project. The 47th Carnival of Nuclear Energy Blogs is up at Cool Hand Nuke. The carnival features blog posts from the leading U.S. nuclear bloggers and is a roundup of featured content from them. This week there is continuing news from Fukushima, but there are also a diverse set of posts on nuclear energy topics. Past editions have been hosted at Brave New Future, NEI Nuclear Notes, ANS Nuclear Cafe, Yes Vermont Yankee, Idaho Samizdat, and several other popular nuclear energy blogs. If you have a pro-nuclear energy blog, and would like to host an edition of the carnival, please contact Brian Wang at Next Big Future to get on the rotation. This is a great collaborative effort that deserves your support. Please post a Tweet, a Facebook entry, or a link on your Web site or blog to support the carnival. date. If you’ve never been to an ANS Student Conference, I’d like to offer you some great reasons to attend. posters of cutting-edge research undertaken by your student colleagues from around the nation. We’ll also be hosting the 2nd annual public forum on nuclear energy, a new student conference tradition started last year by the University of Michigan. A broad panel of nuclear experts representing specific areas of interest to the industry (utilities, regulation, nonproliferation, Department of Energy national labs, public advocacy) will answer questions posed by you and other members of the public. ANS Vice President/President Elect Dr. Eric Loewen will serve as moderator for the forum, and the keynote will be delivered by prominent nuclear energy advocate and author of Power to Save the World: The Truth About Nuclear Energy, Gwyneth Cravens. Be sure also to catch our “Nuclear in the Arts” night on Thursday with a nuclear-themed gallery opening by PopAtomic Studios and a special performance of “Manya: A Living History of Marie Curie.” To top things off, our Saturday night awards banquet will be held in the Ocean Ballroom of the Georgia Aquarium, the world’s largest aquarium, and will be catered by Wolfgang Puck. at the Hyatt Regency in downtown Atlanta. For more information, please visit http://conference.gtans.org. Thank you and we hope to see you next week! Brian Dyke is the Publicity Committee chair for the 2011 ANS Student Conference. He is a fourth-year undergraduate in Nuclear and Radiological Engineering. Much of his interest in nuclear science can be attributed to growing up in South Carolina, where many of his neighbors worked at the Savannah River Site. After graduation, he hopes to pursue a career in the power generation side of the nuclear industry. Nuclear News, the monthly publication of the American Nuclear Society, today published a Special Report on Fukushima Daiichi after the earthquake and tsunami. The 8-page Special Report will be included in the April 2011 edition of Nuclear News, which has been mailed to subscribers. For more information—including how to subscribe—visit the ANS website. The effort to contain the nuclear reactor crisis at Fukushima brings to mind the 1933 horror movie King Kong, in which a giant ape, escaped from captivity, and perched at the top of the Empire State Building, is fatally wounded by a swarm of war planes of the era. While fictional film character Carl Denham intones his famous last line “It was beauty killed the beast,” a less prosaic New York sanitation department might have been wondering how to remove a giant dead gorilla carcass from the corner of 5th Ave. and 34th St.
Kong’s fall would have created a cleanup problem of immense scale. It would have been “beyond the design basis” of even the entire fleet of city garbage trucks. This dramatic movie metaphor is relevant as a visual image of the scope of the problem faced by Tokyo Electric Power Corp. (TEPCO) with the eventual decommissioning of six reactors at Fukushima. The utility doesn’t have just one dead giant gorilla, there are six. The first three nuclear reactors are likely to be found to be fatally compromised with heat damaged fuel assemblies from loss of cooling water. Partial melting of fuel may be part of the problem. Massive hydrogen explosions blew the roofs off of secondary containment structures at reactors 1, 3, and 4. The fourth reactor is also likely severely damaged beyond repair. Its spent fuel pool is exposed to the open air as a result of one of the huge hydrogen explosions. The fifth and sixth reactors, relatively undamaged, may never restart because of wrecked balance of plant infrastructure and ferocious public opposition which is leveraged by Japanese law that gives veto power over nuclear facilities to the provincial government. The 15-meter high tsunami swept away the normal infrastructure of a nuclear power station which, along with rubble from the hydrogen explosions, put debris across access roads and rail sidings blocking delivery of emergency equipment. Efforts to control leaks from buildings and trenches may go on for months or years. In short, it will be a very dangerous place to conduct cleanup work. The precedent TEPCO will have to rely on is the cleanup of the Three Mile Island (TMI) accident in the U.S. The cleanup of the badly damaged reactor at Three Mile Island, which began in 1979, took more than a decade ending in 1993. 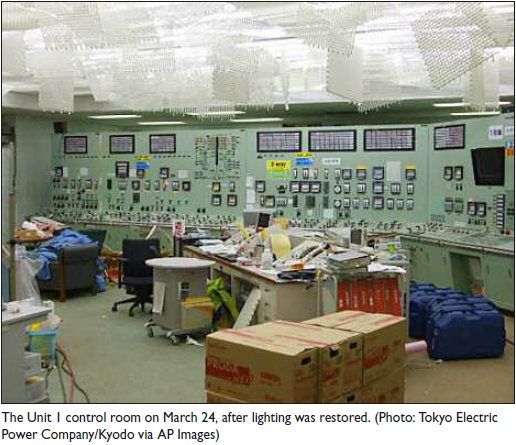 TEPCO’s timeline may be much longer. The New York Times reported that the first major phase of the TMI cleanup was completed in April 1990, when workers finished shipping 150 tons of radioactive wreckage from the damaged reactor vessel to Idaho for storage. According to a history of the Idaho lab’s involvement in the project, 49 casks containing reactor fuel debris were transported by rail through 10 states in 22 shipments. Cleanup at that point had cost over $1 billion. There are significant differences between the situation at TMI and Fukushima. The biggest and most dangerous differences are the extent of uncontrolled radioactive contamination outside the reactors at the plant site. A second cleanup challenge, unlike the TMI experience, is that the surrounding countryside in Japan is like a war zone with lack of access by road and rail, power lines are down, and potable water, food, and housing are all in very short supply. There some immediate steps TEPCO needs to take to start the cleanup process at Fukushima. It must get most of the radioactive water off the site and control what remains. It needs to control radioactive debris from the hydrogen explosions. Most importantly, it must find a path to remove the fuel from the damaged reactors or execute a plan to store it in place indefinitely. The removal of huge volumes of radioactive water from the site is the first priority. 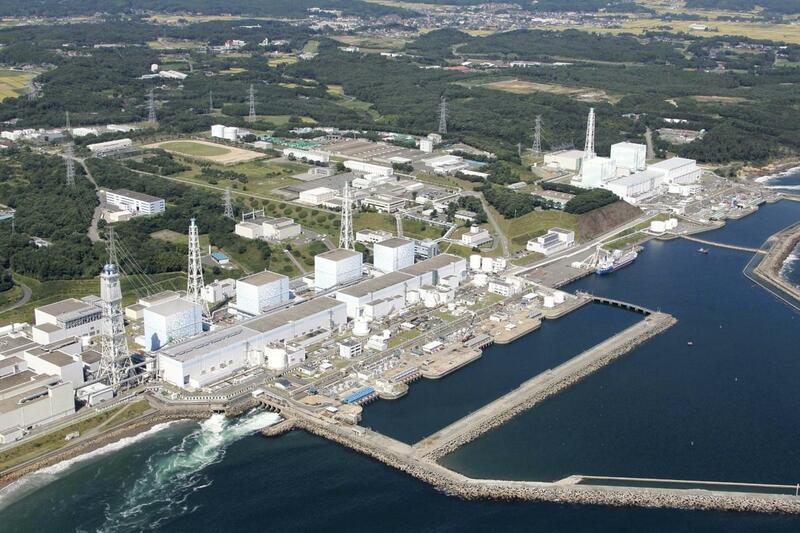 The Japanese have been pouring uncounted tons/day of water on four reactors since mid-March. Headlines in the news media on April 5 report TEPCO needs to remove 11,500 metric tonnes of water from the plant. Readers should be aware that the western press has had numerous difficulties with translations of Japanese language reports of reactor status information. Mistakes and errors by TEPCO, as well as wholesale retractions, have created problems for almost all numerical references from the utility subjecting them to continuous second guessing and review. Anyway you count it, there is a lot of water and no way to store or dispose of it on the site. The option exists for TEPCO is to run a pipeline several miles out to sea from the reactor site and pump the water out there. According to a BBC report for April 4, 2011, the Kuroshio Current is the North Pacific equivalent of the Gulf Stream in the Atlantic. It hugs the Asian continental slope until about 35 degrees North, where it is deflected due east into the deep ocean as the Kuroshio Extension. Experts interviewed by the BBC say this means pollutants in its grasp, such as radioactive water from Fukushima, will tend over time to be driven out into the middle of the Pacific where they will become well mixed and diluted over time. There will likely be heated political objections to this scenario, but TEPCO is more or less out of land-based options. 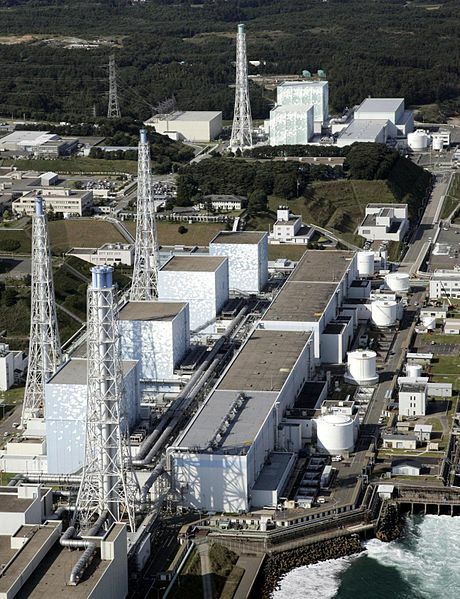 It needs to get the radioactive water out of the plant if it has any chance to make progress with gaining control of even more dangerous radioactive contamination throughout the entire reactor complex including spent fuel in Unit 4 and damaged fuel in Units 1-3. Next, the site needs to be washed down to remove surface radioactive contamination. Yes, this will produce more radioactive water, but it’s better to send it out to sea than to leave it in place to harm site workers. Also, according to an April 6 New York Times report, radioactive particles from the spent fuel pool for unit 4 may have been blown as much as a mile away by the hydrogen explosion. These materials need to be found and removed to a safe interim disposal area. Fukushima reactor units 1-4 could to be covered by an semi-rigid, inflatable tent the size of a football stadium. This structure, supported by a light steel framework and constant air pressure blown into it, would protect the damaged reactors and cleanup workers from the elements. While a typhoon or other extreme weather could damage the air supported structure, it is easier, quicker, and less costly, to rebuild one than to try to encase all four reactors in a giant concrete shell. None of this site preparation work can take place until the reactors themselves are in a state of cold shutdown. This may be accomplished through restoration of electrical power and control of the reactor cooling systems. If the cooling systems are damaged, and don’t work, TEPCO will have to come up with a system that does the job which will likely continue producing hundreds of tons a day of radioactive wastewater. It could be some time, perhaps as long as several years, before remote controlled, radiation hardened robots can be sent into the reactor cores at Units 1-3 to take a look at damage there. The reason is the wreckage of the damaged secondary containment structures at reactor units 1 & 2 will have to be removed so a work crew and their gear can be staged to access the primary containment structure. Unit 3, which has a relatively intact secondary containment structure, could be the first reactor to give up its secrets. According to a Wall Street Journal interview April 2 with veterans of the cleanup at TMI, heat damaged fuel elements will be difficult to extract from the reactor pressure vessels especially if temperatures were high enough to melt the zirconium cladding that hold the fuel elements in place. Once that happens, fuel pellets fall to the floor of the reactor pressure vessel. If the any of the fuel itself is melted, TEPCO might opt to wait for years with a buttoned up reactor pressure vessel and secure primary containment structure for everything to cool down through natural attenuation of residual heat and the cycle of radioactive half lives. Eventually, like TMI, the fuel from the reactors and spent fuel pools could be transferred to permanent dry cask storage. If TEPCO can’t find safe technical path forward to this solution, then an alternative is to eventually entomb the reactor pressure vessels in place by pouring concrete into the primary containment structures for units 1-3, and the spent fuel pool in unit 4. This solution may be forced on TEPCO if it finds that any of the primary containment structures are damaged from the original earthquake or by aftershocks. According to a Bloomberg news report for March 30, the government hasn’t ruled out sealing the plants 1-4 in concrete says Chief Cabinet Secretary Yukio Edano. Though he didn’t mention it, one of the issues the government will need to evaluate is whether the primary containment structures could safely hold all that concrete. That weight could put new stressed on the structures. TEPCO’s long-term cleanup costs could be in the tens of billions and take decades to complete. This activity alone could turn the utility into a semi-permanent ward of the state unless cleanup, and liabilities, are taken over entirely by the government through some form of receivership for the reactor site. Fukushima could remain a no man’s land for decades given the huge, almost unimaginable costs of cleanup. The government will likely look to find reasons to stretch out cleanup for financial reasons regardless of domestic and international pressure. Japan’s government is carrying a huge debt load as it is. The complexity of performing the decommissioning of six reactors four of which are severely damaged and in an unknown condition will drive up costs at every turn. The last time Japan decommissioned a reactor, which was a clean site, it took the government more than two decades to complete the job. By comparison, the decommission of the Zion nuclear power plant in Illinois, which is well controlled under regulatory scrutiny from the NRC, is expected to cost $900 million and take a decade to complete. A New York Times report for November 22, 2010, noted it cost Exelon $10 million a year just to “baby sit” the plant in cold shutdown status. The plant will be chopped up into pieces and shipped to a special landfill in Utah that can receive solid radioactive waste. There will be no separation of radioactive and non-radioactive materials. Everything will be assumed to be radioactive and will go to one disposal site. Where to put radioactive waste? This raises a key question for Japan. Where will it dispose of radioactive debris from Fukushima? It can’t leave the material at the seashore to perpetually contaminate the cities and farms in the surrounding countryside and pollute highly productive fishing waters. The Kyodo News wire service reported April 5 that the Japanese government is studying the possibility of borrowing a Japan-funded radioactive waste disposal facility from Russia to help contain radioactive water. “We are checking whether it is technically possible to use the facility for this current event, and whether the facility’s machines are working smoothly,” Hidehiko Nishiyama, a spokesman for the government’s Nuclear and Industrial Safety Agency, told a press conference. Suzuran - At this time, it is moored opposite Vladivostok's shores at the Zvezda Shipyard in Bolshoy Kamen Bay. He also said Japan has been communicating with Russia about using a floating facility, called Suzuran, (right) which Japan gave to Russia in 2001 to help dispose of low-level radioactive liquid waste from decommissioned nuclear-powered submarines. Japan gave the facility to Russia as environmental concerns were raised after Russia dumped radioactive waste into the Sea of Japan in 1993 in the process of dismantling its nuclear subs. There is even less certainty for high level waste and other solid radioactive debris (RH-TRU) which cannot be contact handled in the near term. Ten years ago, Japan created the Nuclear Waste Management Organization of Japan (NUMO) which was established under the jurisdiction of the Ministry of Economy, Trade and Industry. NUMO is responsible for selecting a permanent deep geologic repository site, construction, operation and closure of the facility for waste emplacement by 2040. Site selection was begun in 2002. Final selection of a repository location is expected by 2027. Japan may have to speed up the site selection process once it gets serious about the decommissioning of the six reactors at Fukushima. A 2008 briefing shows a lot of process work but not much progress in selecting much less building a geologic repository for high level waste. There’s a long way to go. Dan Yurman publishes Idaho Samizdat, a blog about nuclear energy. He is a frequent contributor to the ANS Nuclear Café. On Wednesday, April 6, Dr. Michael Corradini is appearing on behalf of the American Nuclear Society before the U.S. House Energy and Commerce Subcommittee on Oversight and Investigations. The hearing—which begins at 9:00 am ET—is entitled “The U.S. Government Response to the Nuclear Power Plant Incident in Japan.” A webcast and additional information, including all prepared testimony, will be available via the Committee website. Dr. Corradini’s prepared testimony is below. In his prepared testimony, Dr. Corradini announces that he has been asked by ANS leadership to serve as co-chair of an ANS Special Commission on Fukushima Daiichi. Dr. Dale Klein will also serve as co-chair. This ANS Commission will examine the major technical aspects of the event to help policymakers and the public better understand its consequences and its lessons for the US nuclear industry. Dr. Dale Klein is associate vice chancellor for research at the University of Texas System and Associate Director of the Energy Institute at the University of Texas at Austin. He was a member of the Nuclear Regulatory Commission from 2006-2010 and served as its chairman from 2006-2009. Subcommittee, thank you for the opportunity to testify. number of nuclear energy activities for the National Academies, the Department of Energy, and the Nuclear Regulatory Commission. Specifically, I am a member of the DOE Nuclear Energy Advisory Committee and chair of its Reactor Technology Subcommittee. In addition, I am a member of the French Atomic Energy Scientific Committee and the NRC’s Advisory Committee for Reactor Safeguards. I appear today on behalf of the American Nuclear Society, a professional organization comprised of 11,000 men and women who work in the nuclear industry, the medical community, our national laboratories, universities, and government agencies. On behalf of all ANS members, I would like to express my deepest sympathies to the people of Japan for their loss and hardship. My sons and I were in Osaka in 1995 at the time of the Kobe earthquake and we witnessed the tragic effects of that natural disaster. From what I have seen from news reports and photos on the web, this is a tragedy that is orders of magnitude more devastating and, thus, even more sobering. While we are here to discuss the Fukushima power plants, I wanted to be sure we put this in context to this tragic natural disaster, with over 12,000 dead and over 15,000 missing. The American Nuclear Society has organized the Japan Relief Fund, targeted specifically to help our friends, colleagues, and their families in Japan who have been affected by the earthquake and tsunami. More information can be found at the American Nuclear Society website. The leadership of ANS has asked me to serve as co-chair of a Special Commission on Fukushima Daiichi. This Commission will examine the major technical aspects of the event to help policymakers and the public better understand its consequences and its lessons for the U.S. nuclear industry. The effects of the natural disaster on the Fukushima-Daiichi plants. The effects of the accident progression on the surrounding region. How we can learn from these events for our U.S. nuclear industry? International Atomic Energy Agency (IAEA), as well as discussions with colleagues and specific press reports. Although there is so much that we do not know about what has happened in Fukushima and surrounding areas, I have found the information from these sources to be consistent and helpful to answer many questions. This timely availability of information is a tribute to Japan and its institutions since these nuclear troubles occurred in the midst of the response to the many injuries and property destruction caused by the earthquake on the general population. As we now know, the Tohoku earthquake, which occurred at 2:46pm on Friday, March 11th, on the east coast of northern Japan, was measured at 9.0 on the Richter scale and is believed to be the 4th largest earthquake in recorded history. As a point of reference, the next most serious quake was in 2004 off the coast of Sumatra with a tsunami resulting in 227,000 deaths. 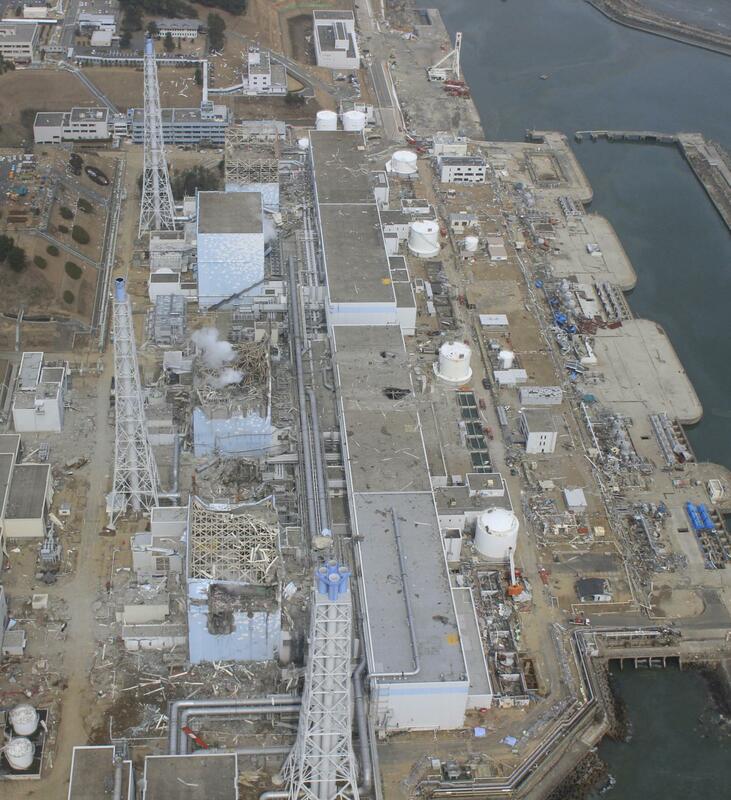 Following the earthquake on Friday afternoon, the nuclear plants at Fukushima-Daiichi, Fukushima-Daini, and Osonawa plant sites shut down as designed, and emergency power systems were activated as expected; even though the earthquake was beyond the design basis. At the Daiichi plants, the design basis safe-shutdown earthquake was 8.2 as measured on the Richter scale, which is a design base above historical values. The Tohoku earthquake caused a tsunami, which hit the east coast of Japan within the first hour of the quake. The size of the water waves that hit the Daiichi plant were significantly above the design base on which the seawall was constructed (17 ft) to mitigate its effects. The tsunami appears to have been the primary cause of the initial on-site damage, making the backup power systems and associated pumping, electrical and venting systems inoperable for Units 1, 2, 3, 4. On-site battery power was able to run the emergency control and pumping systems at the plant site until about midnight on Friday and then the plants experienced a loss of all electrical power for an extended period of time. By the afternoon of Saturday, March 12th, portable generators and portable fire pumps were moved onto the Fukushima-Daiichi site and seawater was pumped in to cool the reactor cores for Units 1, 2, and 3. Decay heat was removed by venting the steam from above the containment suppression pools. 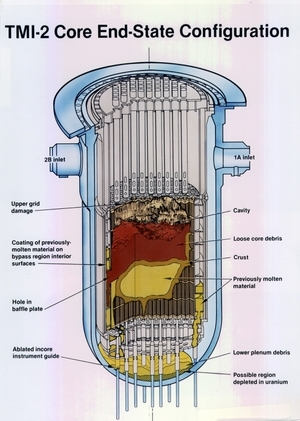 The initial lack of water-cooling caused the reactor cores to be severely degraded, causing metal-water chemical reactions and hydrogen gas generation. Hydrogen was released during steam venting causing the destructive combustion events in reactor buildings outside of containment. In addition to cooling the reactors, it has been necessary for plant personnel to replenish the water in each unit’s spent fuel pools that was lost due to water evaporation caused by decay heat. This is especially true for Unit 4, since it was undergoing maintenance at the time of the earthquake and its relatively “hotter” reactor core fuel assemblies were also placed in the spent fuel pool. For reasons that are not completely clear at this time, the water supply at spent fuel pools at these units reached very low levels over the first few days, causing the spent fuel to become severely damaged, resulting in hydrogen generation and combustion, fuel rod cladding failures, and radioactivity releases to the environment. Seawater was then sprayed in to refill these water pools and they now remain cooled. This mode of cooling continued until fresh water was brought to the site about two weeks after the earthquake. 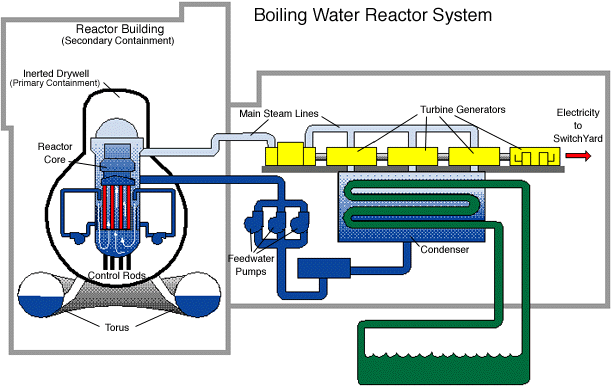 The reactor plants and the spent fuel are now being cooled by injection of fresh water. 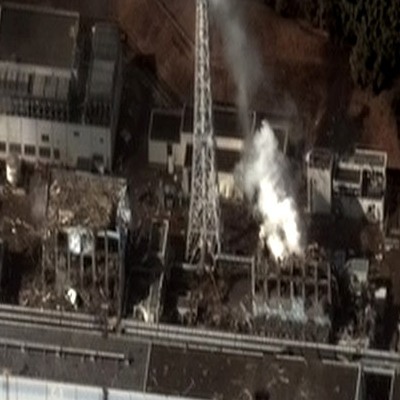 Immediately following the earthquake and tsunami and the subsequent loss of on-site electrical power, the Nuclear and Industrial Safety Agency declared a site emergency, and by the evening of March 11th, residents within 10km of the Fukushima-Daiichi plant were instructed to evacuate. By Saturday afternoon, NISA advised residents within 20km to evacuate and those between 20km to 30km away to remain in their homes as shelter or voluntarily leave the area. In the first few days after the earthquake, the airborne radiation levels were much higher than natural background (normally around 0.3 to 0.4 microSieverts per hour). By a week after the event, they had already fallen to levels a couple of times above natural background. In fact, the air-borne doses outside of a 60km radius from the plant now have readings close to normal. At this time this event has not become a national health disaster for Japan. I would also note that we have the technical capability to measure radiation and its elemental sources in extremely small amounts far below any levels that are harmful to the human body. The source of the radioactive release is not precisely known, but some indications are that it came primarily from the heating, degradation, and subsequent failure of the spent fuel. The levels of radiation on the plant site were much higher, and following the hydrogen combustion events, only a select crew of workers in rotating shifts was allowed on-site to deal with the emergency. Nevertheless, based on reports from NISA, 21 workers received doses exceeding 100 mSv. No worker has received a dose above 250 mSv, which is the allowable dose limit for emergency workers, and this is similar to standards in the United States. The safety approach used in designing and testing the plants in Japan are similar to those used in the United States. The U.S. has adopted a philosophy of defense-in-depth, which recognizes that nuclear reactors require the highest standards of design, construction, oversight, and operation. Designs for every individual reactor in the United States take into account site-specific factors and include a detailed evaluation for natural events, as they relate to that site. There are multiple physical barriers to radiation in every nuclear plant design. In addition, there are both diverse and redundant safety systems that are required to be maintained in operable condition and frequently tested to ensure that the plant is in a high condition of readiness to respond to any accident situation. Satellite photo of damage to reactors 4 (left) and 3 (right) of Fukushima Daiichi on March 16, five days after the earthquake struck. Nevertheless, this natural disaster exceeded the design basis envelope for those nuclear plants at the Daiichi site and we need to learn from this and continually improve our safety posture so that beyond design basis events can be managed. In the coming months, the NRC will do a review of the accident and the safety posture of our plants. Over the longer term, lessons-learned from this event will be used to review the key areas of plant design, operation, and readiness. I know I speak for all the ANS members, that we stand ready to help the industry and the government in this effort. To promote some further discussion on these points let me suggest some items to consider. First, the events in Japan accentuated the need for the United States to evaluate our entire civilian infrastructure (not just nuclear plants) and emergency preparedness for extreme natural disasters. Second, for our nuclear plants, we continually need to ask ourselves “what-if” questions and what we may have missed. This was done for the Three Mile Island accident and this resulted in the Severe Accident Management Guidelines being used in U.S. plants today. I expect that these guidelines will be reviewed in light of lessons-learned from these events. The NRC has also pioneered the use of Probabilistic Risk Assessment in WASH-1400 and has been used extensively. 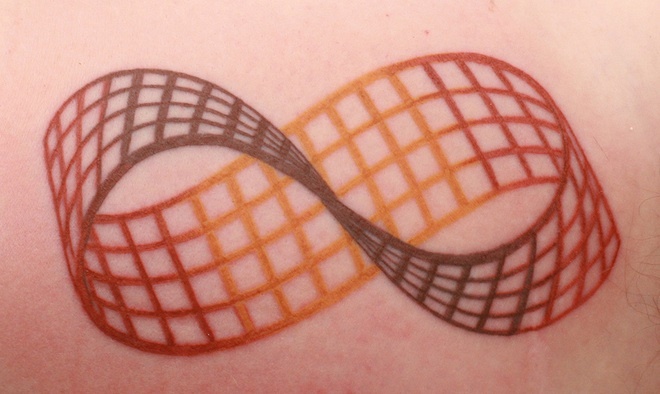 This technique can be used for such beyond-design basis events. Finally, we need to reexamine how we manage spent fuel both in its storage on-site as well as its final disposition. recommendations for spent nuclear fuel as directed by the President. First, while there is still much more information to gather, I think we now have an overall understanding of what happened at Fukushima Daiichi. Second, while radioactive materials have been released into the environment, it does not appear, based on current data, that there will be widespread public health consequences. Third, because of differences in U.S. seismology and installed safety equipment, it is highly unlikely that Fukushima-like event could occur at a U.S. nuclear plant. Nonetheless, the U.S. nuclear industry—and every other industrial sector for that matter—should use this opportunity to ensure that it can respond quickly and effectively to extreme natural events.